UNDATED - The Sturgis Scooper Wrestling team dropped three dual matches at the annual East-West Duals in Pierre. 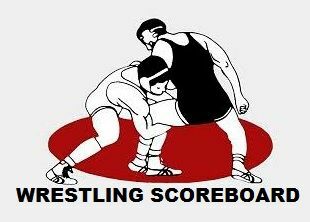 The Scoopers dropped a 37-30 dual to Brandon Valley, fell to Pierre 35-28 and lost a close 33-30 contest with Watertown. Kaden Olson at 106, Jacob Wood at 120 and Reese Jacobs at 145 all went 3-0 to help lead the Scoopers. Rapid City Stevens went 2-1 at the tournament with a 31-27 victory over Waterttown and a 24-6 win over Brandon Valley. The Raiders only loss was a 28-25 defeat to Pierre. Jack Schoenhard at 106, Landen Fischer at 113, Decklan Malone at 132 and Cooper Voorhees at 152 all went 3-0 to help lead Stevens. Rapid City Central went 1-2, with a 38-37 win over Brandon Valley. They lost to Watertown 33-30 and Pierre 47-18. Pierre won the team title, going a perfect 3-0. In other wrestling action, Hot Springs placed sixth in the team standings of the Chadron Invitational. The Bison got two second place finishers in Kody Hagen at 145 pounds and Garrett Heil at 195 pounds. Valentine, Nebraska won the tournament. And, Winner crowned four individiual champions as they captured their own invitational. Philip and Kimball/White Lake/Platte Geddes finished tied for second.